If you’re a high school student contemplating your future, you’re probably wondering what ACT score you should aim for. In this post, we’ll look in particular at how to get a 23 score on the ACT. Why 23? If you’re hoping to attend college, a 23 score is high enough that your post-high school dreams will most likely come true. In 2016, the average ACT score was 20.8. By scoring 23 or higher on the ACT, you’re making yourself into a competitive candidate at a large number of colleges and universities. What Does It Mean to Get a 23 Score on the ACT? To earn a 23 score on the ACT, you need to achieve certain raw scores in each of the four subject tests: English, Mathematics, Reading, and Science. Raw scores are just the number of questions you answer correctly in each section. For example, here are the minimum number of questions you need to answer correctly to earn a composite score of 23. N.B. You can find out more about converting raw scores to scaled ACT scores with our ACT Raw Score Conversion Chart. Fortunately for you, if you score higher one or more of the tests, it’s okay to do a little bit worse on another test. That being said, take some comfort in the fact that you have a lot of wiggle room to reach your goal. So How Should I Study for the ACT? Take a full-length, timed ACT practice test. After you finish, immediately score your test. For the Math and Science tests, review the questions you missed. 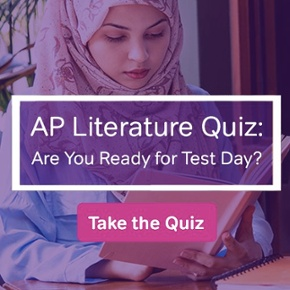 If your practice test came from a book, the answer key will usually provide the content topic(s) that each question tests. For example, within the Math test, are you missing a lot of pre-algebra problems? Geometry? Trigonometry? It’s time to make a list of all the Math and Science topics that posed problems for you, lowering your score on the practice exam. To earn a 23 score on the ACT, review these topics (you can find a great starting place for your ACT prep here). If you’re aiming for a 23, it’s not necessary to get 100% mastery of every topic; your goal is to raise your score just above the minimum cutoff I discussed earlier. On the other hand, mastering these subject areas as best you can will help you get to 23—and may even raise your score above that threshold. If you have time in your study plan, review the topics that you missed on your English and Reading tests as well. After all, every right answer will count towards your goal. As you work through your ACT study plan, I also recommend taking two additional full-length practice tests, one halfway through your study plan, and one roughly a week before the ACT. These two tests will help you track your improvement, or let you know if your study plan isn’t working. Before you jump into the deep end with the ACT, be sure to check out Magoosh’s Three Month ACT Study Schedule. It has a lot of good tips that will help you make the most of your study time. 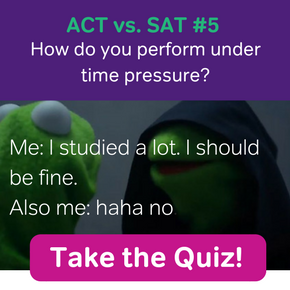 But even if you don’t have three full months to prep, our experts can help you get the best score in the time you do have, even if it’s as little as one week! Best of luck in your ACT mountaineering endeavors!